Post-apocalyptic surrealism and home routine, the two opposite corners of a biopic that involves Zdzisław Beksinski, famous Polish painter of the first three decades of the twentieth century. 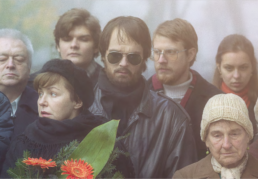 The Last Family, the debut of Jan P. Matuszynski, is a truly original film in its ability to merge two worlds seemingly so far apart. The history and art of Beksinski is inextricably tied to his family, a universe in which the man immerses himself so far that he consumes himself. From the sick mother, to the beloved Catholic wife Zonia and to his son Tomasz, the weakest and tormented link: well-known radio DJ and translator into Polish of the Monty Python film, neurotic, with suicidal tendencies. The bittersweet narrative rhythm accompanies the flow of life between abandonment, pain, small authentic joys – above and within everything, art and its transfiguring breath. 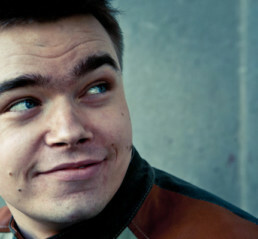 Jan P. Matuszyński was born in 1984. Jan graduated in Film Directing from Krzysztof Kieślowski Faculty of Radio and Television University of Silesia in Katowice and completed the Documentary Course in Wajda School. His films such as 15 Years of Silence, After Party and Heaven have been screened and won prizes at numerous festivals in Poland and abroad. 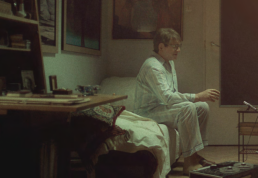 Jan P. Matuszyński is most recognized for his documentary Deep Love (Best Documentary Award at the 36th IFF in Moscow, the Silver Horn award for Best Feature Documentary Film at the 54th Kraków FF and more). THE LAST FAMILY is his feature film debut.